TALLAHASSEE — The fallout over Florida's turbulent recount is escalating after the state's outgoing Republican governor decided to oust a South Florida elections official. Gov. 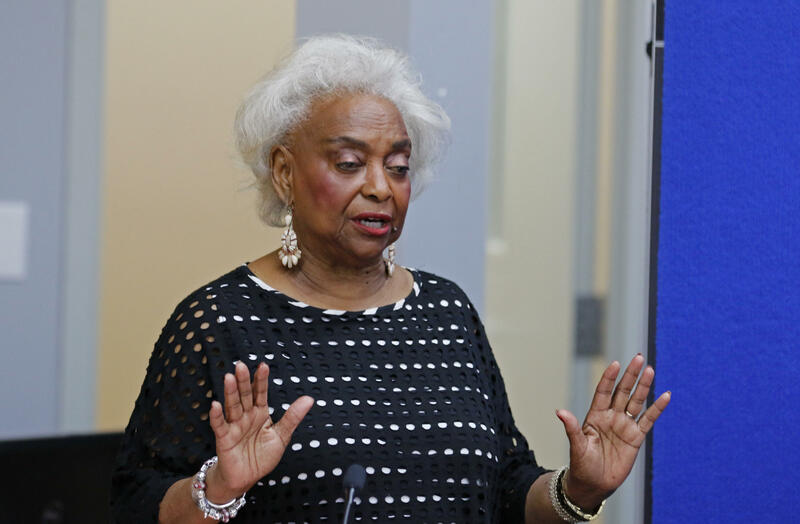 Rick Scott late Friday suspended embattled Broward County Supervisor of Elections Brenda Snipes even though Snipes had already agreed to step down from her post in early January. Scott replaced Snipes with his former general counsel general counsel, Peter Antonacci, to lead the department even though he has no elections experience. Snipes responded by rescinding her previous resignation — and will now be "fighting this to the very end," her attorney said during a Saturday news conference. "We believe these actions are malicious," said Burnadette Norris-Weeks, who said that Broward County voters should be concerned about what Scott is trying to do in the Democratic stronghold by putting in an ally who could oversee the office into the 2020 elections. Snipes, 75, has been the top elections official in the south Florida county since 2003 when then-Gov. Jeb Bush appointed her. She came under withering criticism for her handling of this year's elections, as well as its legally required recount in close races for governor and U.S. Senate. She had been elected three times and her current term was not scheduled to end until 2020. Snipes appeared at the start of the Saturday press conference, where she urged people to "have an open mind about this whole process." She maintained that "we have always done our work in an air of quality and integrity." Norris-Weeks expressed concern that the appointment of Antonacci was being done in order to push ahead with questionable actions ahead of the next presidential election. Scott's administration has been sued several times over election matters including lawsuits over early voting and attempts to purge voters from the rolls. Cynthia Busch, chairman of the Broward County Democratic Party, questioned why Scott did not appoint someone from the community and appointed someone who is a "Republican Party stalwart." Rep. Shevrin Jones, a Democrat from Broward, called the suspension a "play on his politics on his part." Chris Smith, a former state senator from Fort Lauderdale, called the decision to suspend Snipes after she had agreed to resign as "spiteful."